Cooperative ventures between firms, in their best-known form of joint ventures, have attracted academic interest for many years, but much of the early work mostly addressed factors influencing their life-span and internal performance. Theorists, grappling to provide explanations for the emergence and spread of international firms and their strength and resilience, treated inter-firm cooperation — international joint ventures and other cross-border activities, such as licensing — as a second-best option entered into by firms when denied the opportunity to establish wholly owned subsidiaries. 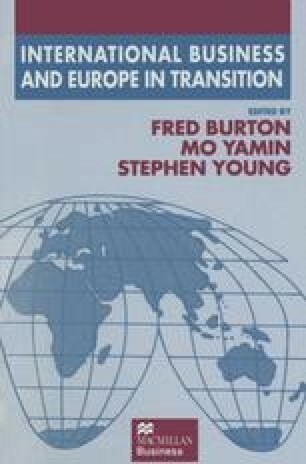 Only in the 1980s did circumstances begin to be evaluated when cooperative arrangements might be first-choice preferences of firms, for example when a local partner could contribute competencies which the foreign partner lacked, allowing both partners to gain through joint internalisation, or when there were government inspired barriers to foreign ownership (Dunning, 1981).